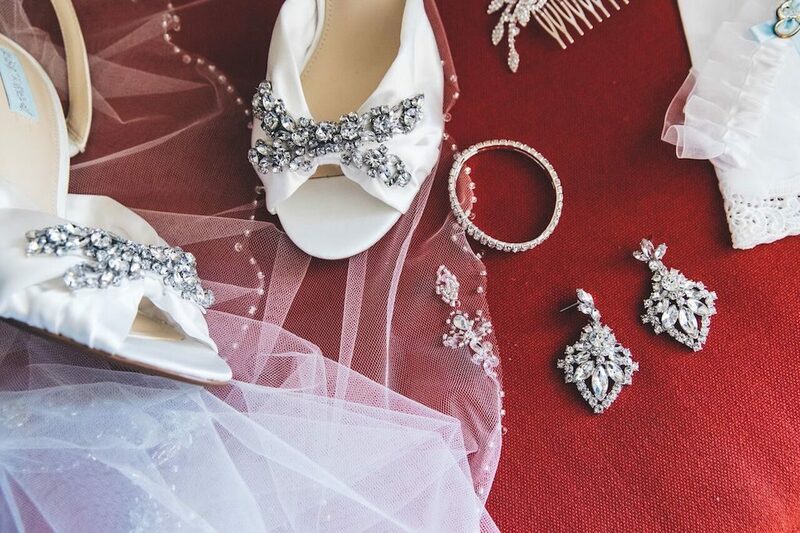 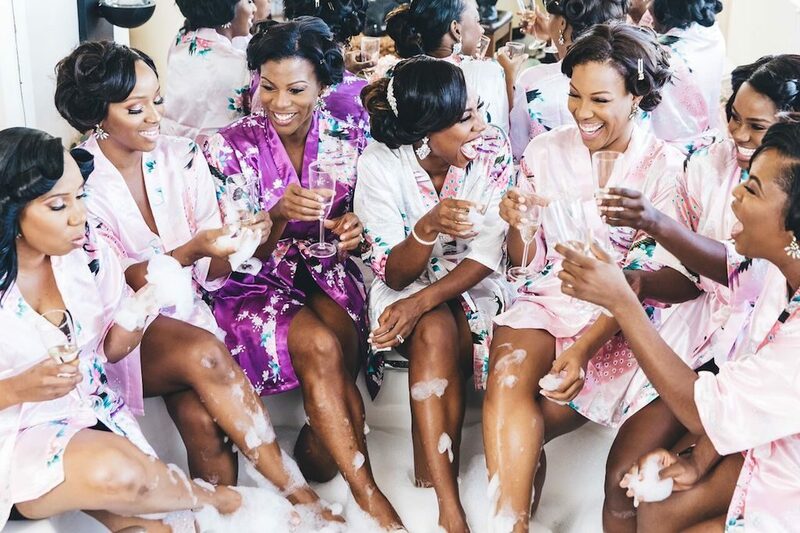 Elegance and class paired perfectly in the Florida wedding of Cassandra and Orlando. 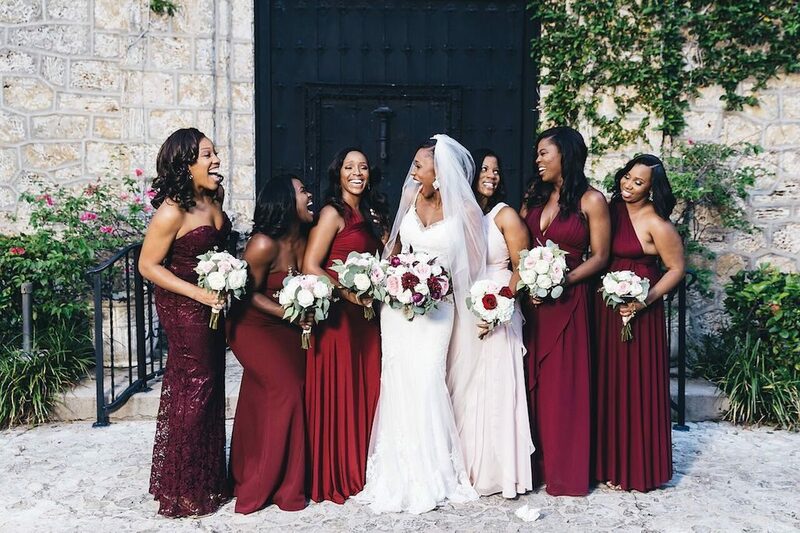 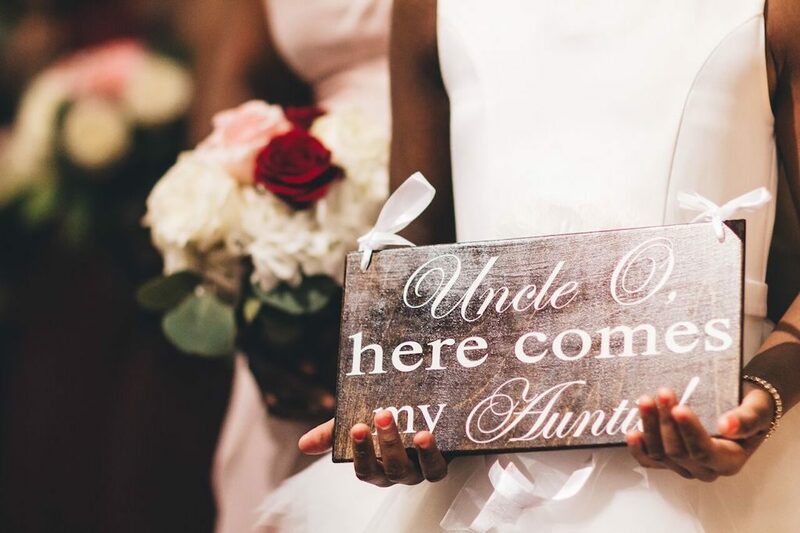 Organic details filled every element of this burgundy accented wedding. 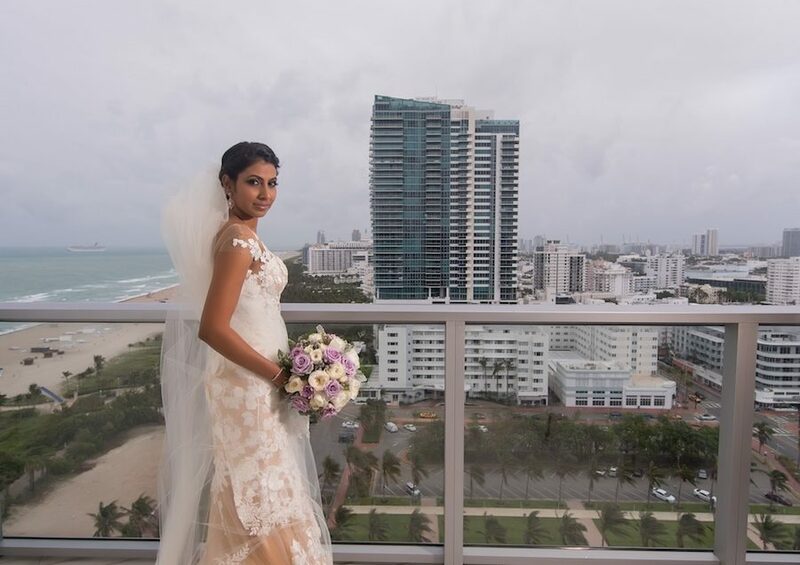 The gorgeous bride Cassandra and her handsome groom Orlando held their elegant ceremony at the gorgeous Plymouth Congregational Church in Coconut Grove. 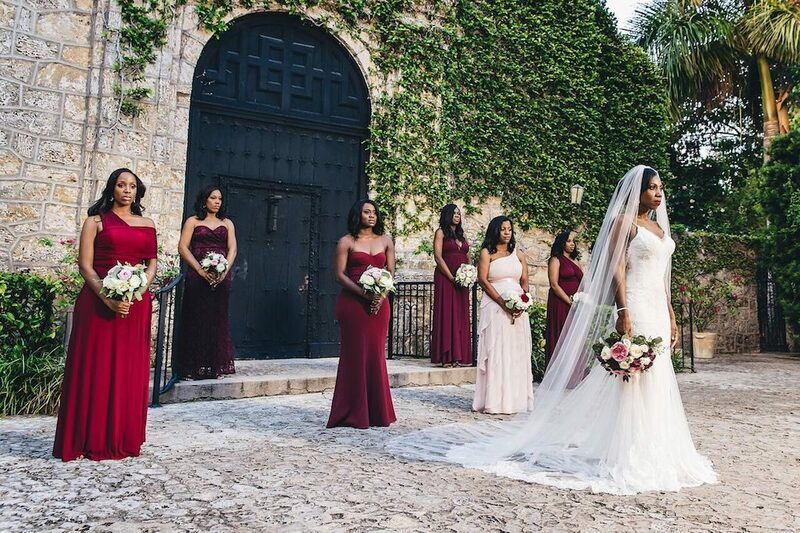 A backdrop of old stone covered in foliage complemented the couples timeless black and white with burgundy accent color scheme flawlessly. 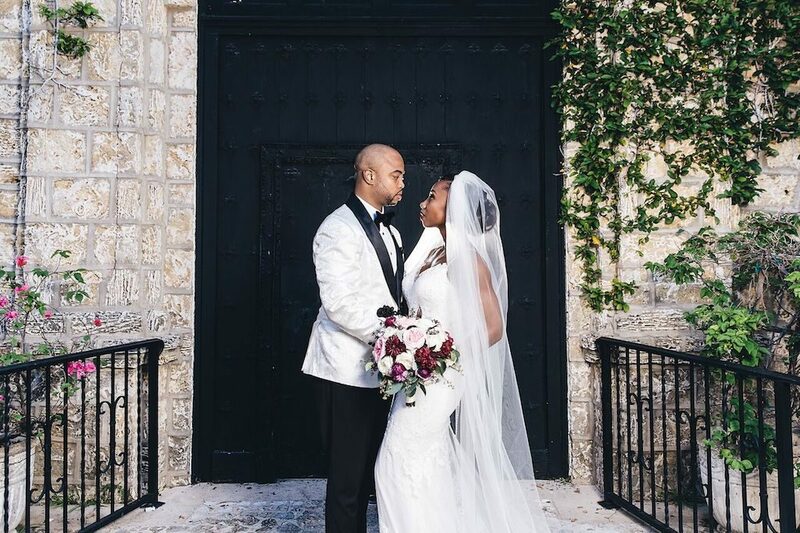 The ceremony was classic as Orlando dressed in a stylish white satin tuxedo jacket with black lapels and his stunning bride elegantly walked down the aisle wearing a sensational A-line lace gown complete with a delicate sweetheart neckline. 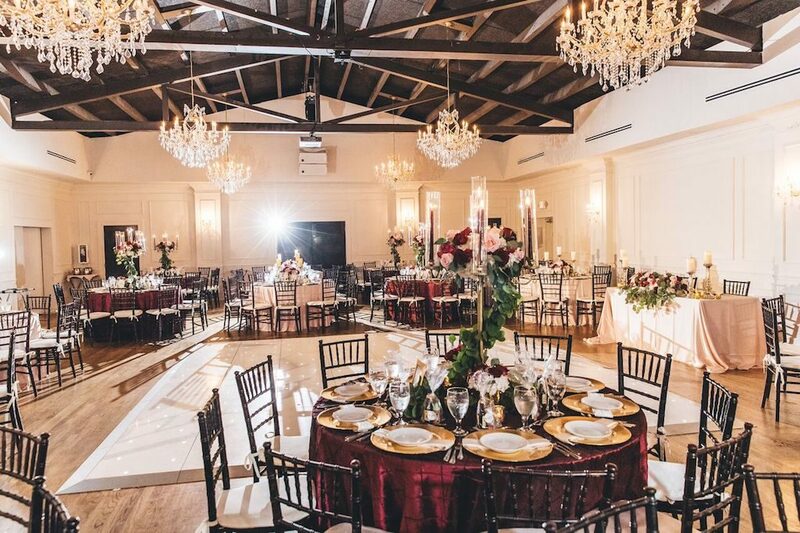 The Club of Knights in Coral Gables was the perfect setting to continue celebrating the gorgeous couple. 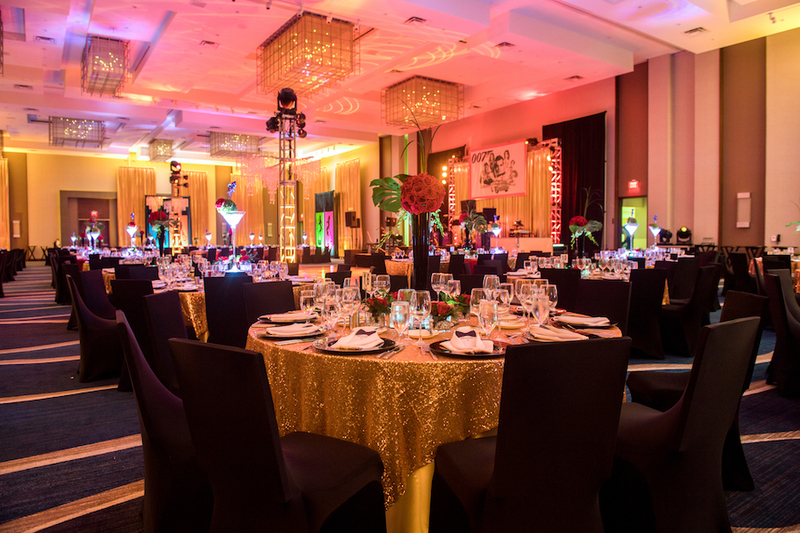 Dazzling chandeliers with gold and crystal accents lit up the room in such a beautiful way. 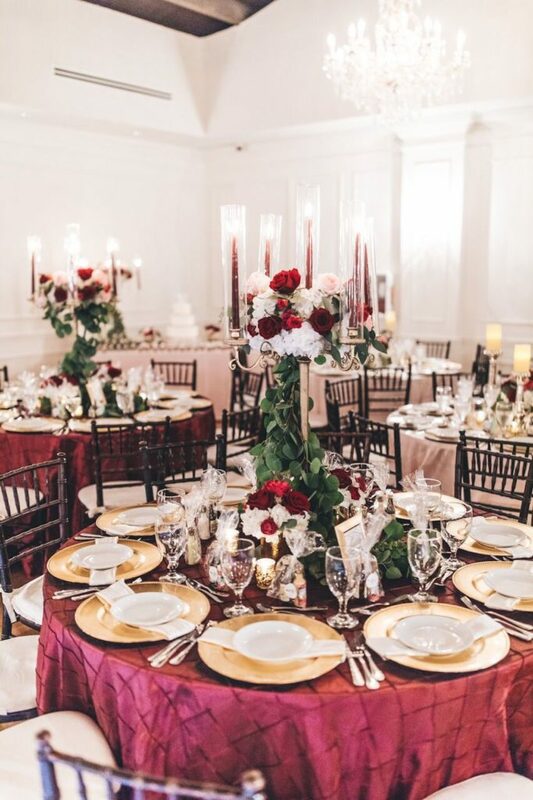 The guests’ tables were covered in luxurious burgundy tablecloths and topped with lavish gold dinner plates. 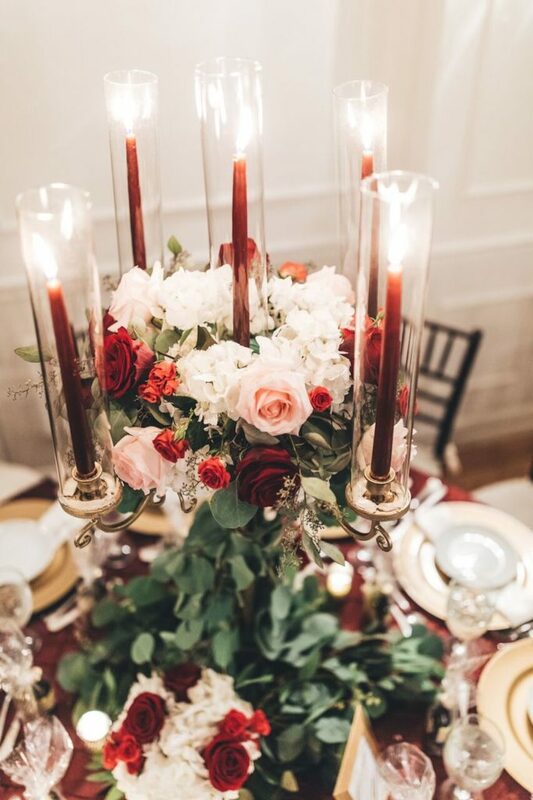 Table centerpieces included stunning gold candelabras paired with burgundy candles inside and crimson and white floral arrangements with a soft pink accent. 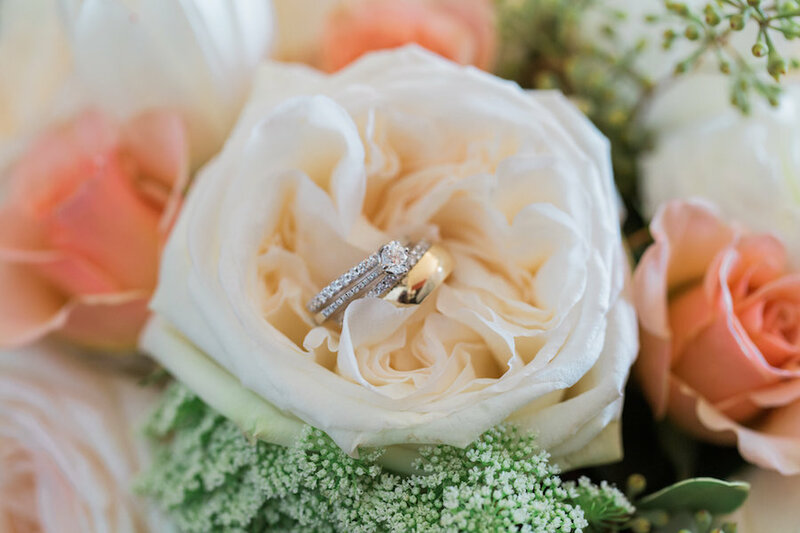 Soft gold colored rhinestones beautifully lined every layer of the four-tier cake. 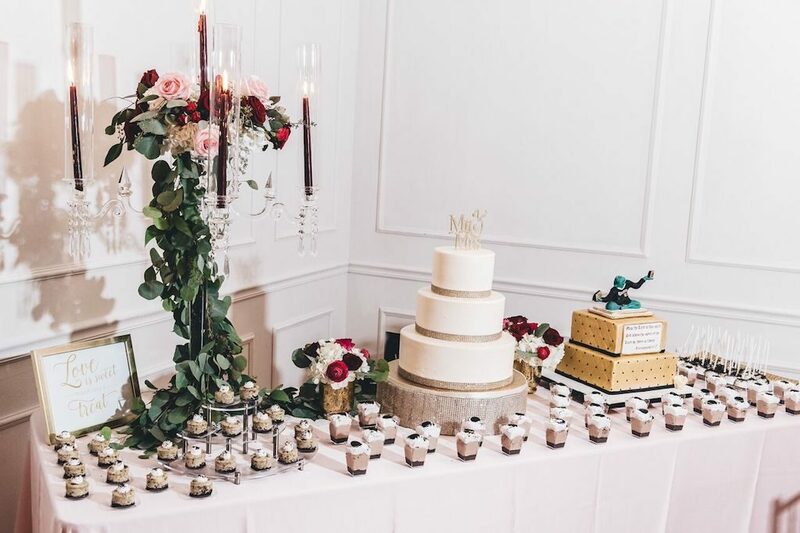 The dessert table which included the elegant cake was filled with decadent treats and accompanied with sweet floral arrangements in gold mercury glass vases. 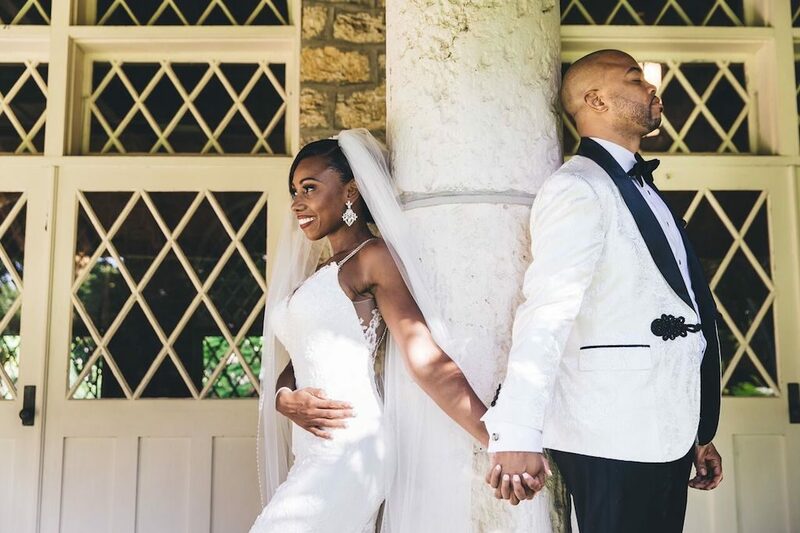 The couple danced the night away surrounded by their friends and loved ones in an absolute classic and elegant wedding.